Fabulous elections, depressing budgets, generally lovely musicâ€¦ Boshemia are here again to take you through their pop culture peaks and troughs with Toots & Boots! So much emotion followed the American Midterm elections this week, but as well as democratic gains and an amazing voter turnout, we have to give a HUGE TOOT to every new representative contributing to a more diverse and progressive American government. Check out Eâ€™s lowdown of some sad losses (Beto <3) but also the astounding â€˜firstsâ€™ that these people represent. 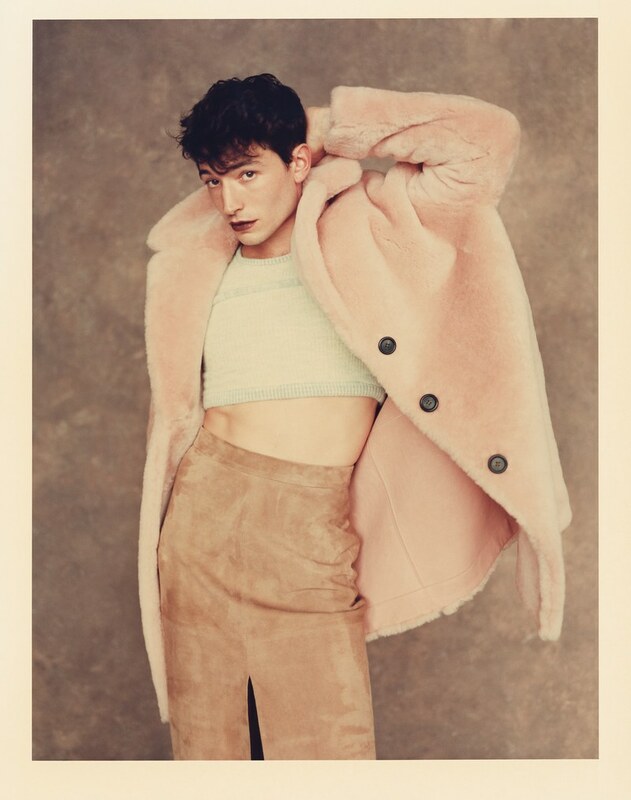 The actorâ€™s (Perks of Being a Wallflower, We Need To Talk About Kevin) most recent cover shoot for the menâ€™s magazine sees him dressed queer head to toe in lipstick, hot-pink velvet gloves and printed blazers. Not to mention his love sickness-inducing eye contact. Less happy about his involvement in the latest Fantastic Beasts film which stars Johnny Depp. This album is HOT, as is everything Fatimah Nyeema Warner (A.K.A Noname) produces. Itâ€™s bold, black, poetic perfection. If youâ€™re new to her music, start with Telefone and youâ€™ll soon be addicted. This cutting series explores how Larry Nassar, the Olympic Doctor for the U.S. Womenâ€™s Gymnastics team, got away with sexual abuse for so long and how he was brought to justice. The protests are planned against the presidentâ€™s visit to Franceâ€™s Capital this weekend. Recently rattled by the midterm results, hopefully our folk on the Parisian ground can shake him up some more. Follow @parisagainsttrump for details. Parcels: a funkinâ€™ pop band who synthed their way into Vâ€™s heart this week with their glittering performance in Leeds. Andy Shauf: a â€˜dreamy long-haired, folksy, crooning Canadianâ€™ one of our beloved designers is seeing live as I write. Stopping perpetrators of sexual assault and violence in their tracks and undermining their power is something we should be aspiring to. The idea that making men pause, think about consent and be held accountable for their actions is going â€˜too farâ€™ is completely bananas. After a fall at the office, RBG has been hospitalised with three fractured ribs. With Brett Kavanaugh newly sworn in to the U.S. Supreme Court where the pair serve, we need this fierce woman on top form now more than ever. Weâ€™re sure sheâ€™ll still be cutting some serious side eye from the bedside though. Get well soon RBG! This week Phillip â€˜fiscal Philâ€™ Hammond made the happy announcement whilst piling yet more money into a fragile and regressive Universal Credit system. We call BS.